Johannesburg - Fears are growing that agreements to build nuclear power plants that could be the most expensive procurement in South Africa's history will be made behind closed doors, without the necessary public scrutiny. Among those voicing concern, two government sources say the Treasury is not being included in procurement discussions, despite the massive budgetary implications of a project that experts say may cost as much as R1trn ($100bn). Construction on the first plant is due to start next year, breakneck speed compared with the years of regulatory and environmental checks for nuclear projects in countries such as Britain and the United States. The Democratic Alliance, the main opposition party, believes the pace of the deal will prevent proper analysis before contracts are signed and huge sums of money change hands. "The whole deal has been veiled in secrecy. We have no details on what we're buying, how much it's going to cost or how we're going to pay for it," shadow energy minister Gordon Mackay told Reuters. The Department of Energy (DoE) did not respond to requests for comment. It has said several times the procurement process will be transparent and follow procedure. Finance Minister Nhlanhla Nene was forced this week to deny reports of tensions with the DoE over the plans and said the Treasury was playing a supporting role in the procurement process. The government has already signed non-binding inter-government agreements for nuclear power support from several countries including France, China and South Korea. President Jacob Zuma said this week the nuclear plan was at an "advanced stage" and the procurement process should be completed by March. Following meetings between Zuma and Russian President Vladimir Putin last year, the Russian atomic agency Rosatom said it had agreed a $10bn contract to build power stations. READ: Will Putin pay for SA's R1trn nuclear plan? However, the DoE denied an agreement had been reached, raising public suspicion of backroom deal-making - an accusation often levelled against the ruling African National Congress under Zuma's tenure. "The nuclear deal is of huge concern given South Africa's history of endemic corruption," said Andrew Feinstein, a former ANC lawmaker and now executive director of Corruption Watch UK. Feinstein is the author of a book about alleged widespread graft in a multi-billion rand arms deal during the late-1990s. "I fear that the corruption in this deal might dwarf the arms deal," he said. The country's economy is in the midst of a chronic electricity crisis as it scrambles to stem power shortages that are increasing costs for industry and discouraging investment. Part of its response is to build the new nuclear plants that would add 9 600 megawatts (MW) by 2030. Its only existing plant, which began operating in 1984, produces 1 600 MW. The country relies mostly on coal for its 42 000 MW generating capacity. A 2013 study by the University of Cape Town's Energy Research Centre found more nuclear power was not needed and would not be cost-effective, based on an estimated installed cost of about R90 000 ($7 000) per kilowatt. The DoE has estimated the build would cost just under R55 000 ($4 200) per kilowatt. Energy experts say this is optimistic and the calculations are based on out-of-date assumptions. Given the lack of funding details, economists worry it could pile more debt on an economy that grew only 1.5% last year. Credit agencies cut South Africa's rating last year, citing weak growth and rising public debt. The DoE said last month that funding models were still being explored, with specifics due to be published when bids were awarded. It also said the return on investment would "far exceed" the costs. Experts question whether the nuclear build is necessary at all, given that two large coal power plants are due to be completed in the next three years, gas-fired capacity is increasing and renewable projects are mushrooming. Added to that, except in China, nuclear power is increasingly unpopular. "We live in a fast-changing world. 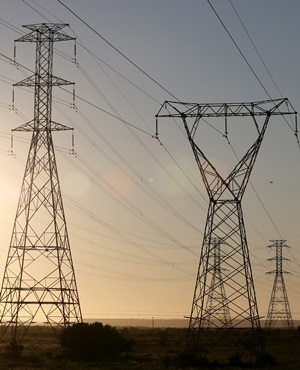 This is not a solution for South Africa's short-term energy needs, which will look very different in 15 years," energy analyst Chris Yelland said.